When your project calls for the most efficient and environmentally responsible 100% Fresh Air Cooling system to any residential, commercial or industrial application, FAO2 is a world leading next generation hybrid air conditioning system with unparalleled performance and eco credentials. Qatar has a tropical desert climate with a maximum temperature of 50℃ in summer. The project is located in the coastal desert of Qatar and is an open football stadium. Traditional air conditioners have very high energy consumption and extremely unstable performance under high temperature conditions. In addition, the football stadium is an open venue and requires 100% fresh air cooling. The cooling requirements are very high and traditional air conditioners are difficult to handle. 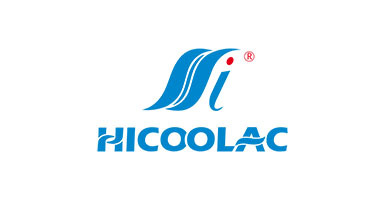 Hicool is the world's leading provider of evaporative cooling and hybrid air conditioning technology solutions. IDEC (Hybrid) air conditioners developed specifically for the dry desert area have the highest performance hybrid evaporative cooling system in the world today. IDEC (Hybrid) air conditioners have the ultimate cooling performance in the tropical desert, energy consumption is 50% lower than traditional air conditioning, and is one of the best solutions in all cooling systems. Provides a comfortable temperature for the entire cooling season in most tropical desert climates through its intelligent control and equalization 100% fresh air cooling The Qatar Open Football Stadium is equipped with Hicool's IDEC (Hybrid) air conditioning and passed the durability test now . The water-cooled screw unit is widely used in the world and the technology is very mature. For this mature water-cooled air conditioner, Hicool also has enough experience. Hicool's high-performance water-cooled screw compressors use German BITZER double compressor technology, combined with advanced energy regulation systems, can achieve stepless energy regulation under various load conditions.Use R134a refrigerant, high cooling efficiency and environmental protection . Based on the architectural layout of the office building and the performance characteristics of the water-cooled screw machine, Hicool uses a large temperature difference small flow system and a primary pump variable flow system based on the energy load adjustment energy saving scheme. The overall energy consumption of Hicool's water-cooled screw system is reduced, and it can be applied to various projects with various load changes and various conventional or retrofit projects. LV8 resort air conditioning project in Bali,form air conditioning design —air conditioning production — air conditioning installation and commissioning—after-sales service, Hciool is responsible for the whole process, and is one of the few manufacturers and service providers who can provide a series of best air-conditioning energy-saving solutions. Bali has a tropical rainforest climate.Hicool's newly developed high anti-corrosion alloy heat exchanger (gold color) enables the lifetime of the heat exchanger to reach 20 years or more even in hot and humid coastal areas. And adopting advanced air-conditioning technology applied to extreme environments provides a solid guarantee for Hicool's product quality and air-conditioning energy-saving solutions. Moscow is a temperate continental climate, and the Moscow subway station is one of the busiest subway station in the world, receiving approximately 9 million visitors a day. In Moscow, where the average annual temperature below zero is 103 days, Hicool designed ultra-low temperature Water Source/Ground Source Heat Pump Unit that can still have super-forced heat capacity under ultra-low temperature conditions based on the soil energy load , building area, the heat insulation of the building ,other geological and climatic conditions in Moscow. It can be efficiently cooled in the summer (EER>5), and still maintain super-low-temperature heating capacity and provide high-temperature hot water in the winter of -25℃， people are not afraid of cold in the cold winter.